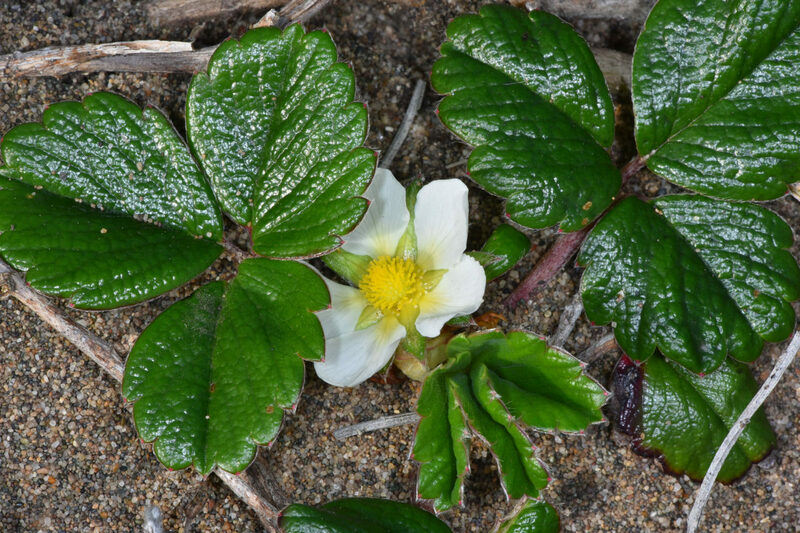 Beach strawberry is a California native found on beaches and bluffs of the Western United States. 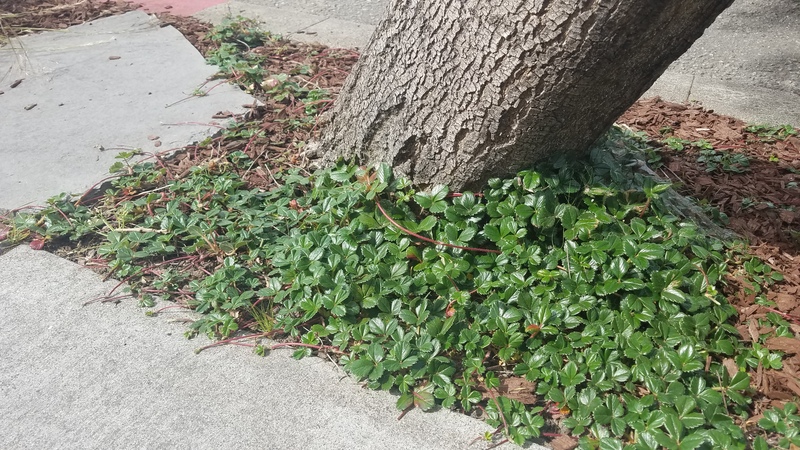 It is a good substitute for invasive iceplant, as it forms a lush, compact mat of dark green foliage. 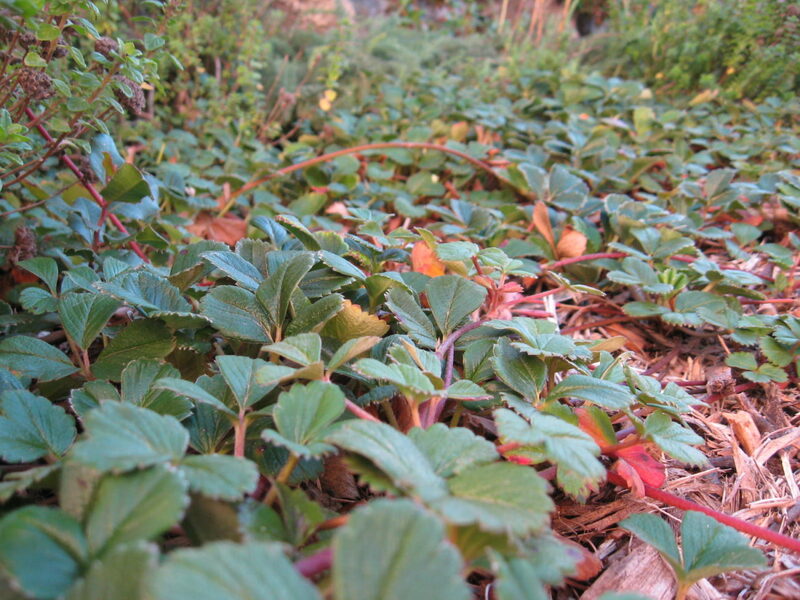 It grows less than a foot high, and can be mowed in early spring to promote new growth. 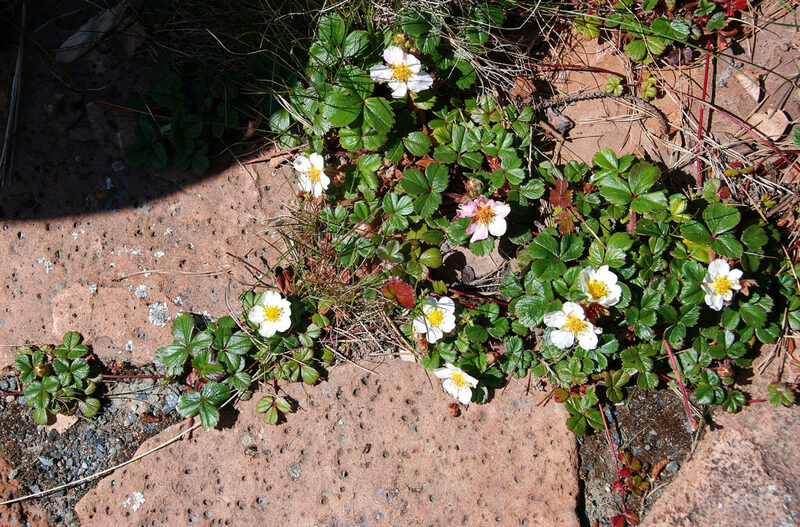 Pretty white flowers bloom in summer. Performs best on the coast. 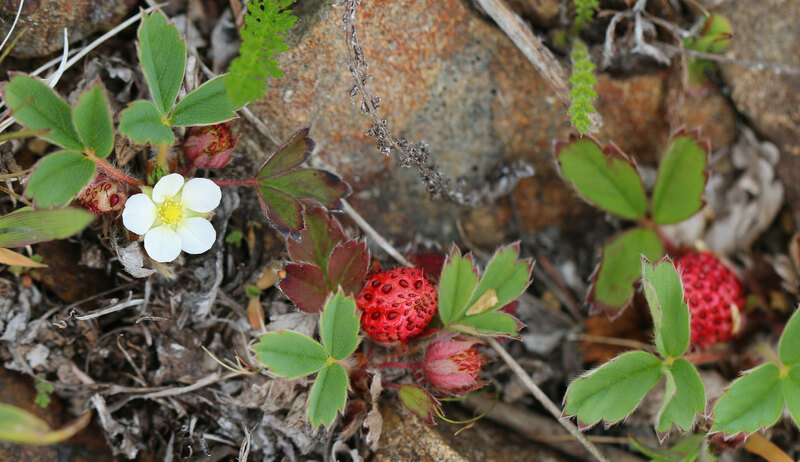 Protect from hot inland sun. 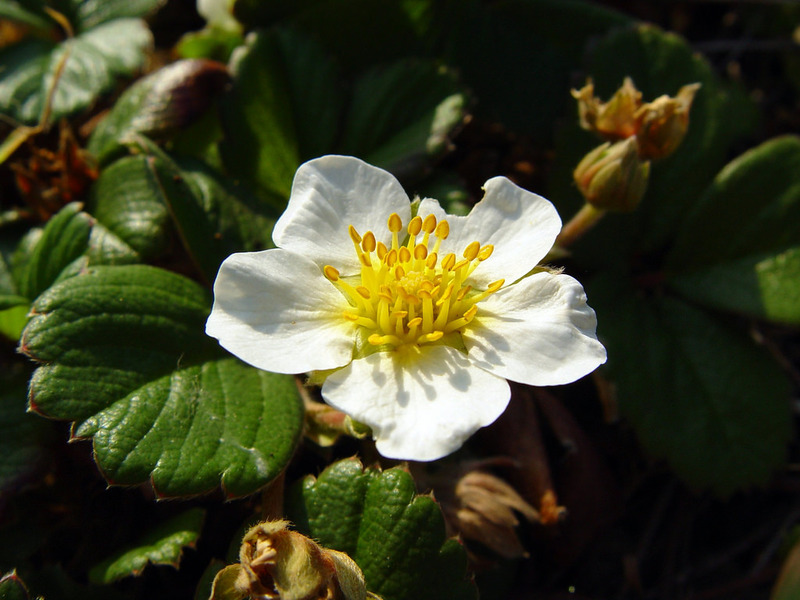 It is one of the parent species of cultivated strawberries.